The cottage is located in a hamlet between Brantôme and Nontron (Dordogne), at the gates of the Regional Natural Park Périgord-Limousin. The borders of granite and limestone plateaus valleys, halfway between the Atlantic Ocean and the Puy de Dôme (120 km), allowing the region to benefit from a temperate climate. Finally, it is nestled in a forest of oak, chestnut, acacia, pine trees in a hilly and green space. Dated from the 19th century, the bakery has been restored by us while respecting its authenticity. We basically used local materials: tiles, beams, stonework, all giving a simple yet warm look. Modest in size and arranged to facilitate your stay, it is functional and charming. We welcome you with ease to offer you the beauty of our country '' and we hope that your holiday will be happy and unforgettable moments. - A place to store your luggage. - Garden equipment: tables, chairs, umbrellas, chairs, barbecue. ° Services: Nearest shops, post office, doctor, pharmacy: Champagnac-de-Bélair (4 km). The Dordogne is part of the Aquitaine region, its capital is Perigueux (24). Beynac Castle - Castle of Biron - Châteaux of Bourdeilles - Castelnaud - Commarque Castle - Castle of Fenelon - Château d'Hautefort - Jumilhac Castle - Château de Lanquais - Chateau de Losse - Château de Mareuil - Castle Milandes - Castle Monbazillac - Chateau de Montaigne - Puyguilhem Castle - Castle of Saint-Jean-de Cole. Etc. ° The most beautiful villages of France: Belvès - Beynac-et-Cazenac - Castelnaud-la-Chapelle - Domme - Vitrac - Limeuil - Monpazier - Saint-Amand-de-Coly - Saint-Jean-de-Cole - St. Léon-sur-Vézère. 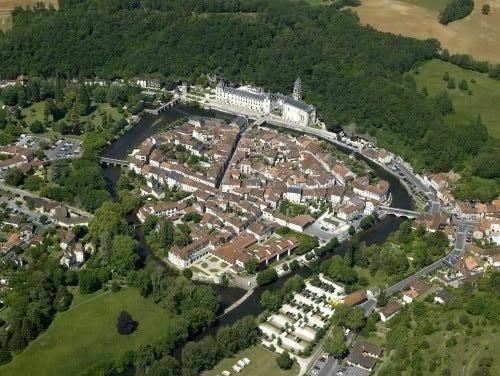 ° Bergerac - Brantôme - Montignac - Riberac - Saint-Genies. Outside, you will enjoy a shaded and spacious area (2000 m2) with garden furniture: parasol, tables, chairs, loungers, barbecue ... Private parking. Side east or south-west side. Your interior equipment will include: fridge, freezer, microwave, oven, washing machine, color TV, iron, heaters, vacuum cleaner. Baby: cot - bedding - high chair. No internet connection. le calme recherché en pleine nature. Le gîte correspond tout à fait (confort et aménagements) pour le type de vacances envisagées (randonnées). Nous avons pu entendre le brame (fin septembre). Accueil et rencontres absolument agréables. Enchantés par notre séjour dans ce gîte très agréable , entouré de gens charmants et accueillants. Calme assuré, promenades à pied ou en voiture pour découvrir les environs, tout est réuni pour des vacances reposantes. Merci à vous, nous avons été totalement séduits par votre "générosité", par votre sens inné de l'hospitalité, même en vacances... Votre séjour restera pour nous aussi un vrai bonheur ! gîte très sympa, confortable, calme, nous avons passé une agréable semaine. Bien située, dans un écrin de calme et de nature, au départ de nombreuses balades et excursions variées, ravissante location tenue avec soin et avec goût. L'excellente semaine que nous avons passée nous pousse à la recommander chaleureusement ! Cette appréciation nous touche particulièrement. The cottage is only a few minutes drive from several beautiful sites such as Brantome, called The Venice of Perigord, in the 8th century, the Benedictine monks settled at the foot of the cliff, in troglodyte shelters to found an abbey. Brantôme, rich in good food is the ideal place for a gourmet stopover before discovering the many tourist attractions of Val de Dronne. Villars, its cave, masterpiece of nature, its sumptuous Renaissance castle of the Loire lost in Périgord, the moving remains of its Cistercian abbey. The cutlery city of Nontron, the oldest knives of France celebrated every year on August 4 & 5 - His big rabelaisian festival: 'The Soufflaculs' around mid-Lenten - The architectural ensemble of one of the most beautiful villages of France, Saint-Jean-de-Cole. The House of the Truffle in Thiviers and the Ecomuseum in Sorges. Bourdeilles, its two castles perched on the cliff overlooking the Dronne. Discover the magnificent wealth of villages and castles of our Périgord Vert, go fishing and canoe on the shady Dronne. For wine lovers, the vine growers of Bergerac invite you to an initiatory journey, organic farming, late harvest ... On your way you will find many beautiful restaurants to enjoy the local cuisine. Every day, towns and villages host a different local market, night markets, fairs for all in all villages, beautiful food markets every week allow you to consume seasonal fruits and vegetables. Near the cottage: Périgueux, Brantôme ... and surrounding towns offer you wide musical and artistic programs throughout the summer season.